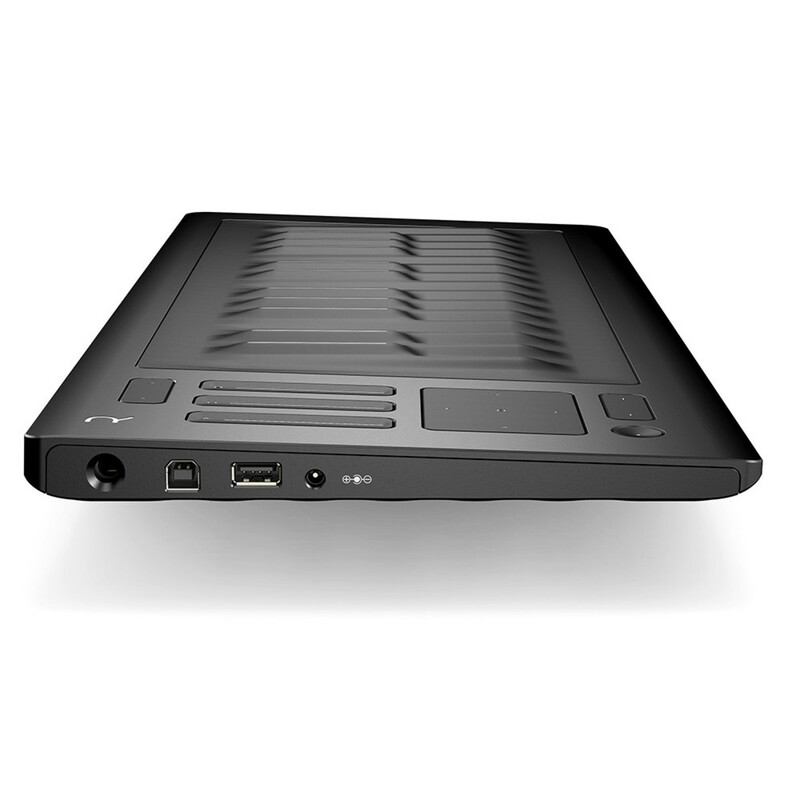 The ROLI Seaboard RISE 25 is a revolutionary, expressive MIDI controller. RISE 25 brings together the playability and intimacy achieved by traditional instruments, and the cutting edge versatility of electronic instruments. Coming with ROLI's own Equator software synthesizer, the Seaboard RISE gives a level of expressiveness not found on other keyboards. Featuring 5 dimensions of touch: strike, glide, slide, press and lift, and replacing the traditional keys with a soft touch-responsive surface to provide a next-generation controller and a new way to shape sound and make music. Additionally, the RISE 25 comes complete with STROBE2 software polysynth (worth 145 GBP), boasting a wide-range of cutting edge sounds. Special Offer: Claim up to 115 GBP cash back with ROLI products this Christmas! Offer available until 25th December 2018. ROLI are here with a treat. Throughout the Christmas period you can claim up to 115 GBP cash back reward with ROLI products! To claim your reward you need to purchase a qualifying product between November 29th and December 25th 2018. Then wait 30 days from your date of purchase before claiming your reward voucher (as the ROLI return period is 30 days). Submit the claim form between 30-60 days from your date of purchase by visiting roli.com/cashback2018. Have your proof of purchase and serial numbers ready. Once validated, you'll be sent your cash back reward within 28 working days via bank transfer. For full terms and conditions please visit roli.com/cashback2018. The Roli Seaboard now comes complete with the award-winning FXpansion STROBE2 software polysynth. The FXpansion STROBE2 software features a high-quality analog modelling engine with an in-depth effects section and an intuitive preset library browser. STROBE2 combines cutting-edge sounds with an ergonomic and easy-to-use interface that works perfectly in conjunction with all versions of the ROLI Seaboard. Building on its wide range of diverse sounds, the STROBE2 polysynth provides you with a variety of in-depth controls for creating your own sounds, including deep modulation processing, preset-morphing as well as being fully MIDI Polyphonic Expression (MPE) compatible for natural and tactical 5D modulation. With its diverse range of sounds and intuitive and easy-to-use interface, the STROBE2 is the ideal companion for the ROLI Seaboard. 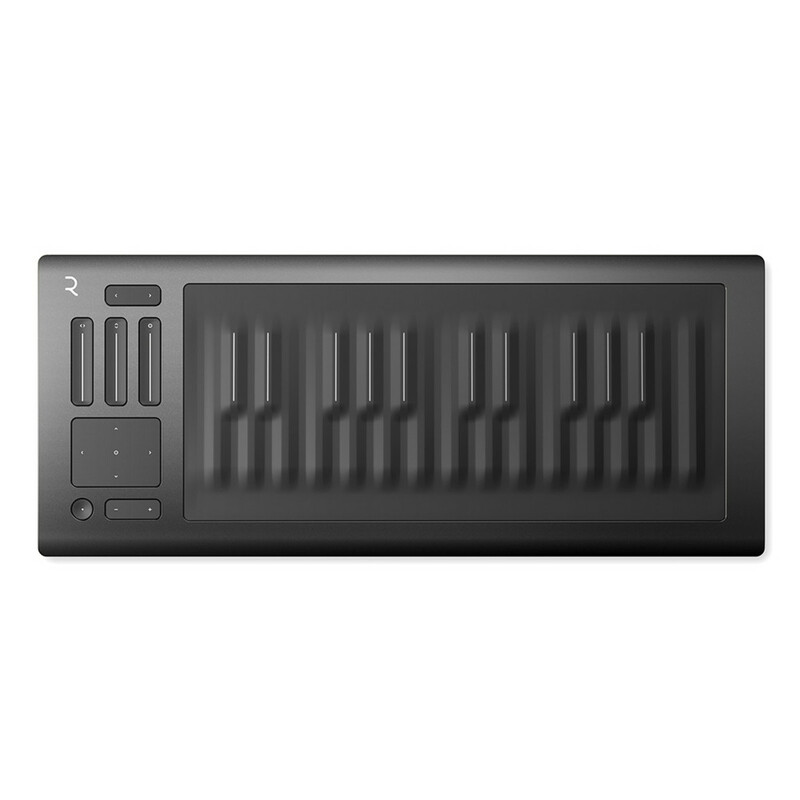 Using ROLI's unique keywave technology, the ROLI Seaboard RISE 25 provides new levels of touch interaction with your keyboard. Achieve vibrato and pitchbend with your own dynamic touch, rather than the use of a modulation wheel. Slide between notes with the smooth keywave surface Combine striking with both gliding and sliding to create and shape music like never before. The 5 dimensional touch control opens you up to a whole range of expressive playing, not possible on standard keyboards. Strike the soft touch pads as usual to play notes, or slide up and down them to modulate a sound with brightness, cutoff, or volume. The RISE 25 provides you with more control than ever with you fingertips. Create more natural sounds with virtual instruments such as the striking, sliding and vibrato of a guitar and more with just your fingers. Parameters can be mapped to unique gestures and touches on the Seaboard RISE 25. Tracks can be performed and recorded with many details that would previously have been achieved only with post production. The RISE 25 has been designed for portability. 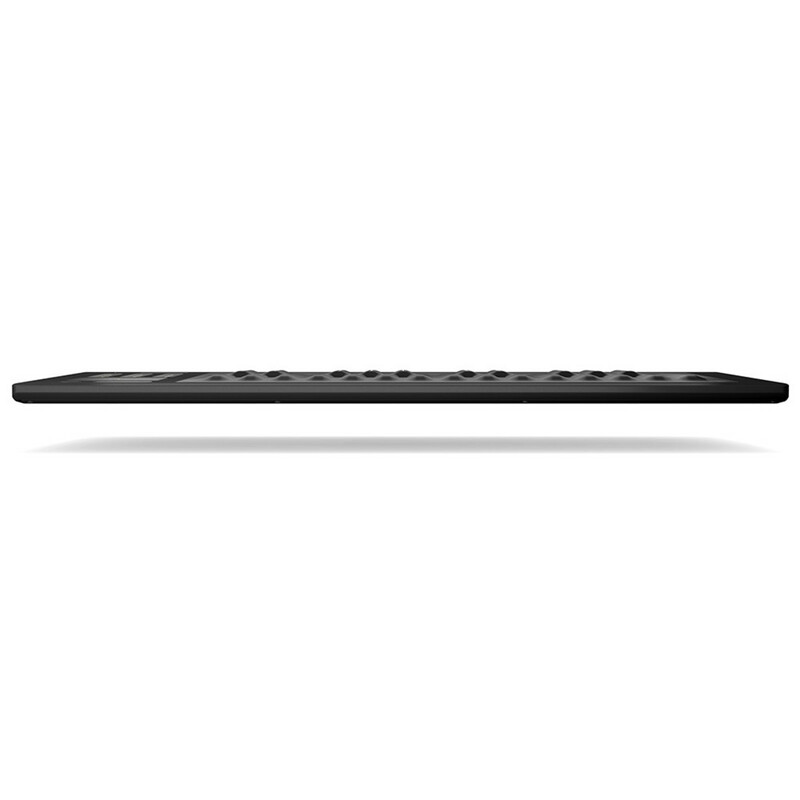 Combined with Bluetooth technology for a wireless experience, and a compact and light weight design, the Seaboard RISE 25 allows you to make music wherever you are. An internal battery provides up to 8 hours of continuous play so whether you're stuck in the airport, at a park, studio or on stage, the RISE 25 is the perfect companion for the on-the-move producer and performer enabling you to play and produce anywhere. 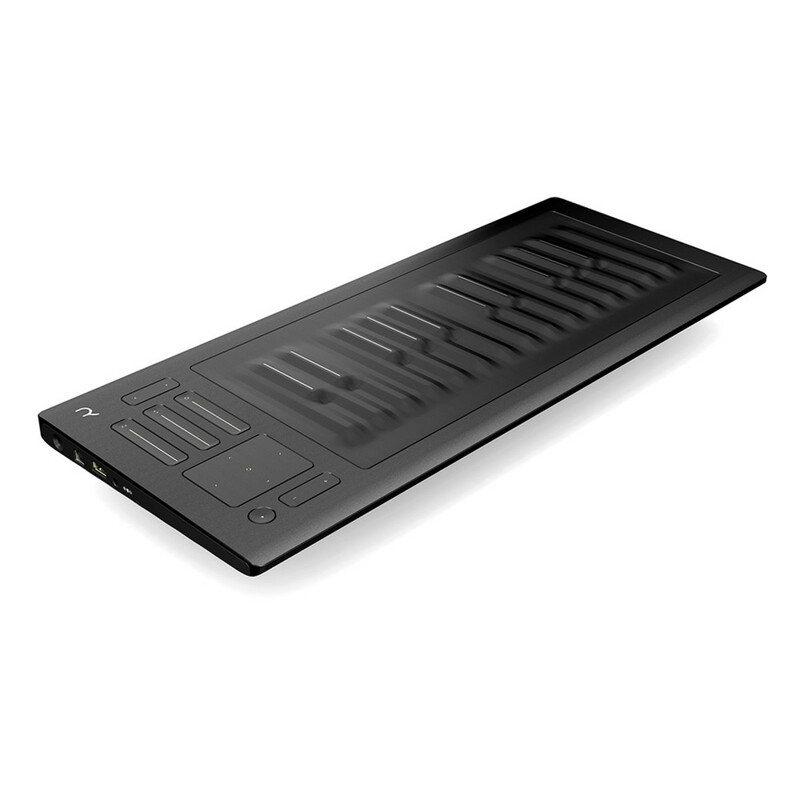 Connect the ROLI Seaboard RISE 25 to a huge variety of hardware and software synths, across USB or Bluetooth MIDI. Using ROLI's keywave technology, you can simulate the dynamic range of a traditional acoustic instrument with your favourite synth. Trackpads and faders can be customised to help you personalise your favourite synth patches. The ROLI Seaboard Rise 25 comes with Equator, a revolutionary software synthesizer. With a huge library of preset sounds already included with Equator you can plug in and start creating ground breaking music in no time at all. With everything from realistic and dynamic instruments to surreal and weird synth sounds Equator puts the power and creativity in your hands right from the word go. Additionally the extensive multidimensional modulation capabilities such as the tweakable envelopes, LFOs, EQ, oscillators, effects and wave dynamics mean you never have to settle for a sound again. The Seaboard RISE 25 removes all the clutter, knobs, wheels and cords, and instead replaces functions with a simpler interface based on one thing, touch. No need to worry about breaking knobs or faders breaking off, instead the RISE 25 offers touch for all parameters including faders, preset browsing, XY touchpad and the smooth keywave surface providing a beautiful, simplified and wireless design. "A giant leap forward for keyboard- kind, the Rise is an innovative product which oozes quality." Music Radar - full review here.